This is the first ACEO card I drew for the contest. 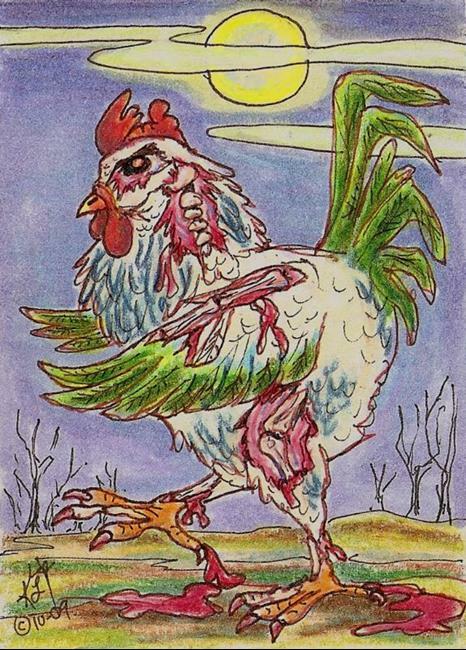 We raise chickens and 'Zombie Chicken at Night' was drawn from a photo of George, an Americana rooster we had a few years ago. He is styled after the skeleton horses I create. 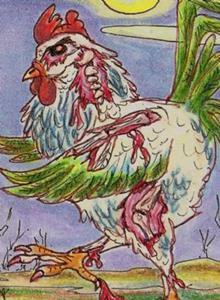 'Zombie Chicken at Night' was drawn on 65 lb. 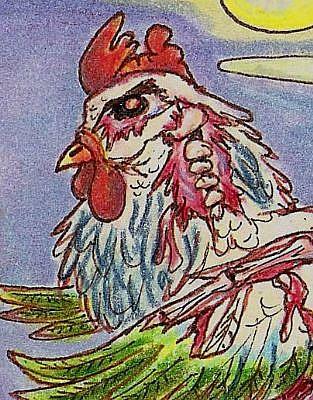 Vellum Bristol using Prismacolor® pencils, watercolor paints and Sanguine and Sepia Indian ink pens.